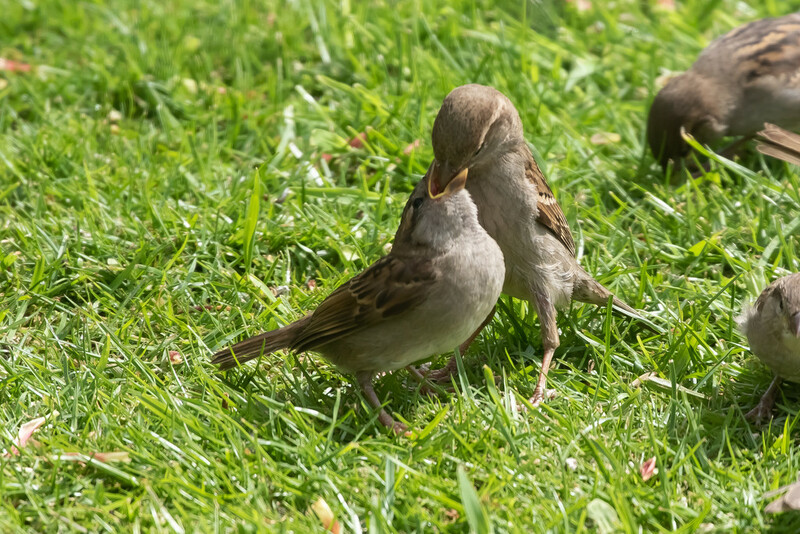 There was a great feeding frenzy in the front garden as there has been for a couple of weeks now with fledged sparrows looking to be fed. Such a great capture!! Keeping the parents very busy!! Fav! Fun to watch; not always easy to catch. Nice clear capture.